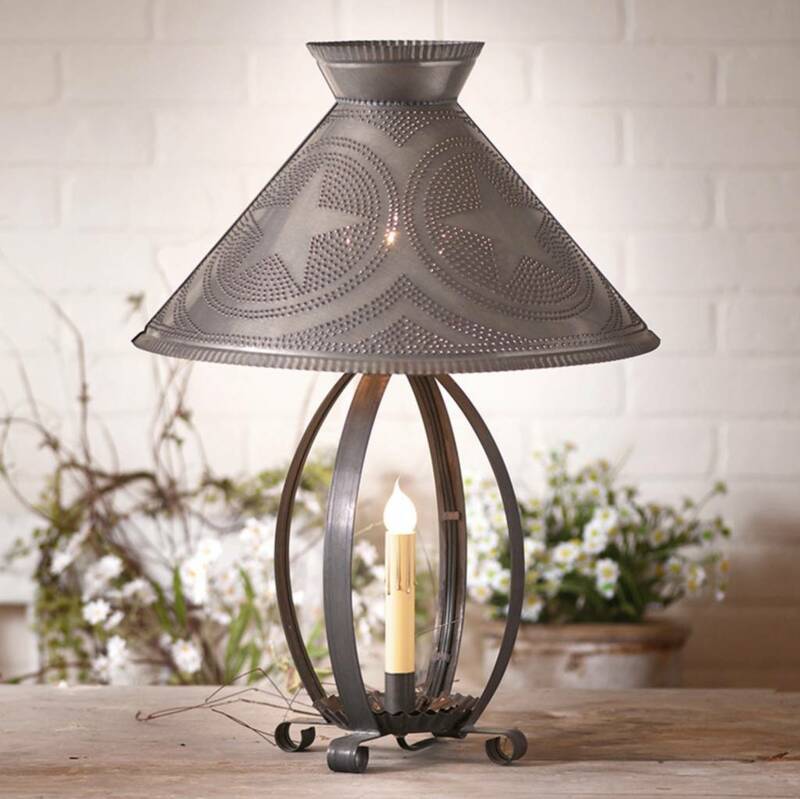 You'll love this Colonial favorite, the Betsy Ross Lamp with Star Shade in Blackened Tin. This is table lamp brings a great amount of reading light an a soft ambient light. Works great in any room in your home. Made in the USA. Thank you for choosing to shop with us and considering our Colonial Lamp & Lighting. This Sweet Olive Olive Bucket Fragrance Candle makes a warm addition to any room in your cozy home. It is blended with the highest quality oils for a scent that is like the aged perfection of weathered wood. Each candle comes in a glass insert. 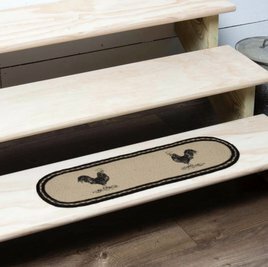 The oval Sawyer Mill Poultry Jute Stair Tread brings a Farmhouse look to your staircase. A rooster is stenciled in distressed black on each end over beautiful solid ivory jute surrounded by concentric braids of black, gray taupe, silver, and ivory. This classic White Sofa Table with Stained Top will make a great addition to any farmhouse! The white color gives it that old time feel while the stained top adds a classy touch! Made of solid wood in Ohio, USA! 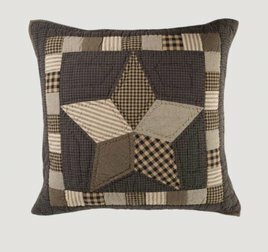 This quilted Farmhouse Star Euro Sham features a small black check fabric with a 5-point patchwork star in a variety of coordinating fabrics. Around the star is a patchwork border in the same fabrics.